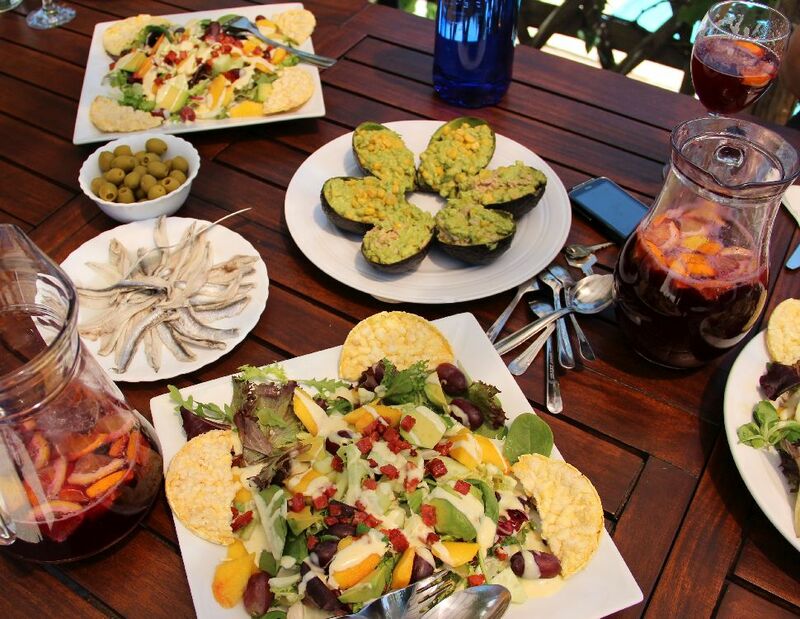 We are situated in an oasis of green trees and orange groves in the privacy of a small river valley - nestled below the town of Coín, which is only a 5-10 minute walk away, above us. 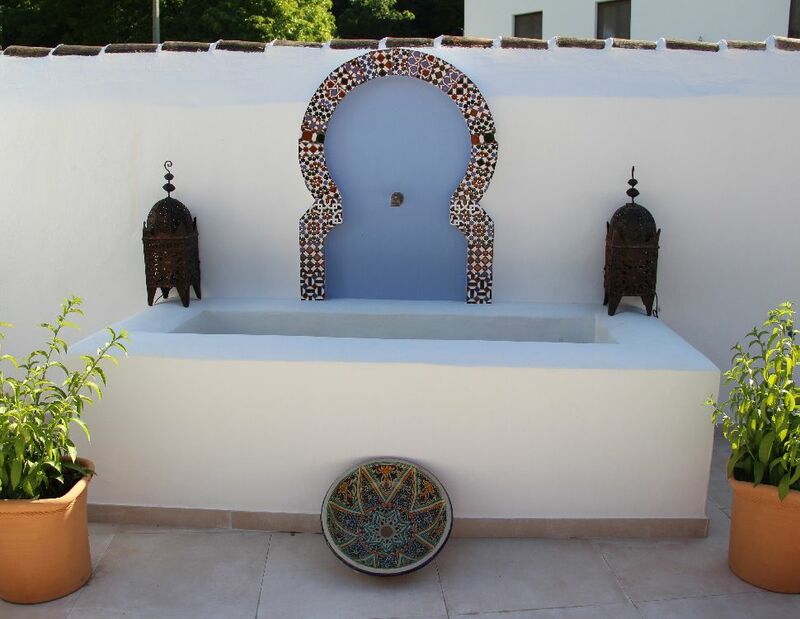 You will enjoy our 'Mediterranean gardens' and swimming pool (10m x 5m) and you will have your own private and comfortable accommodation with air conditioning in the bedroom as well as central heating throughout for the cooler winter nights. We provide free WIFI access. 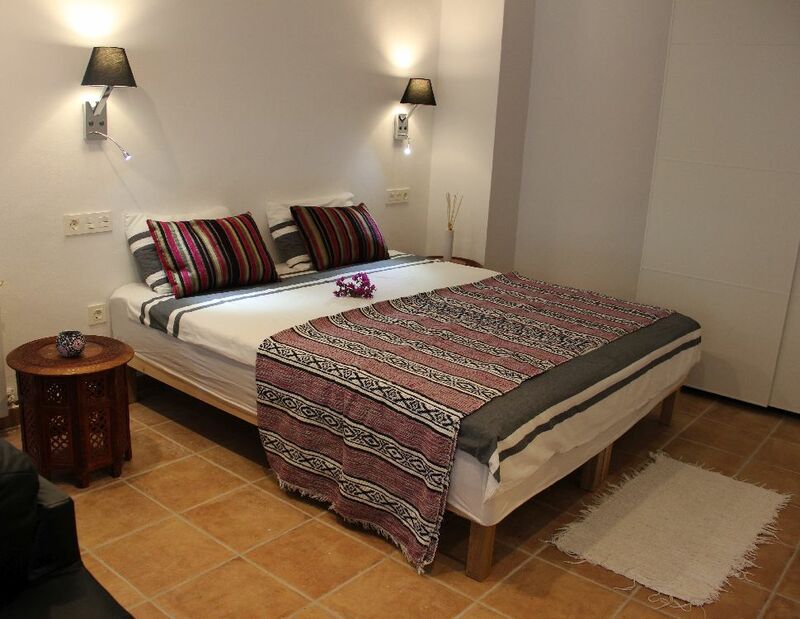 Each accommodation unit consists of (open plan or closed) bedroom (2 single beds or 1 kingsize) and spacious living space with comfortable seating and of course your own private bathroom with shower (plenty of steaming hot water). 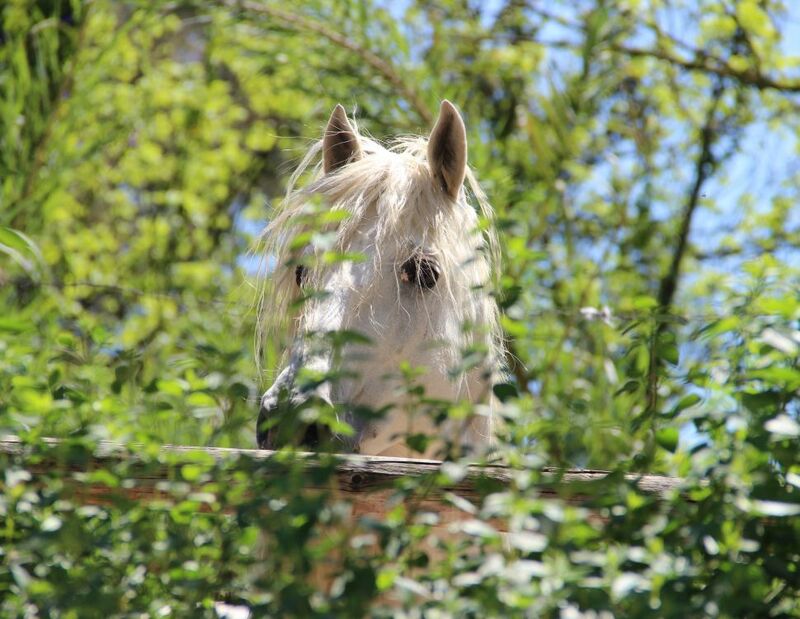 Outside your window there often will be one of our horses ready to say hello ! 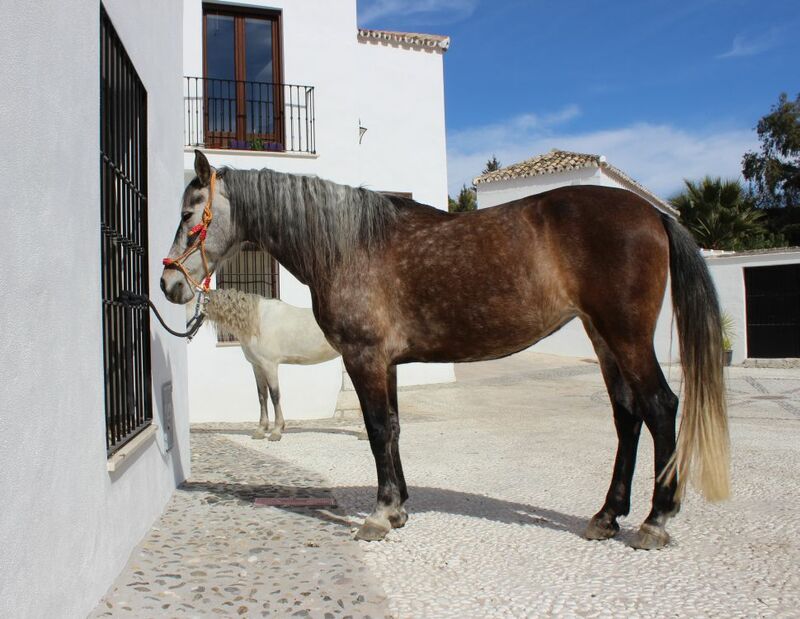 All our horses are living around you. 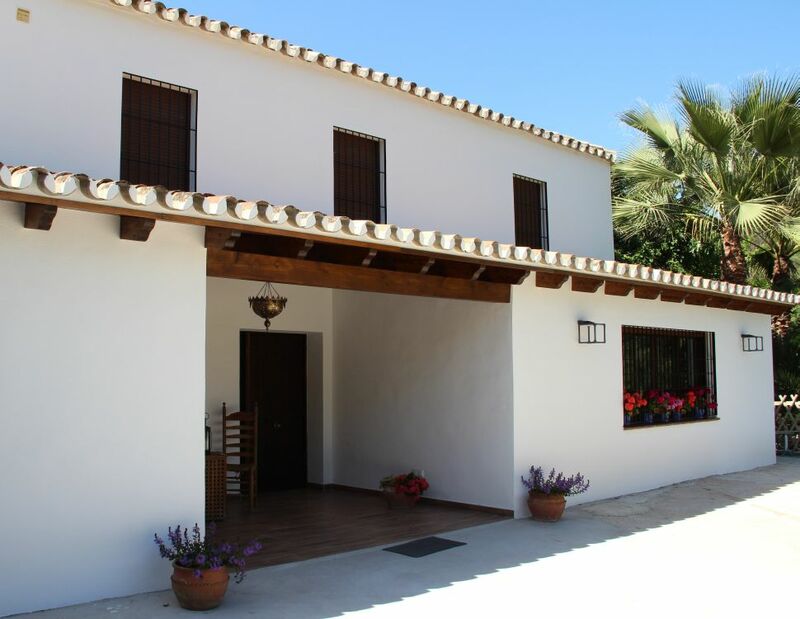 Your spacious accommodation is designed in Andalucian style and will offer you privacy and comfort (in excess of 30 m2) with rural Andalucian tranquility. 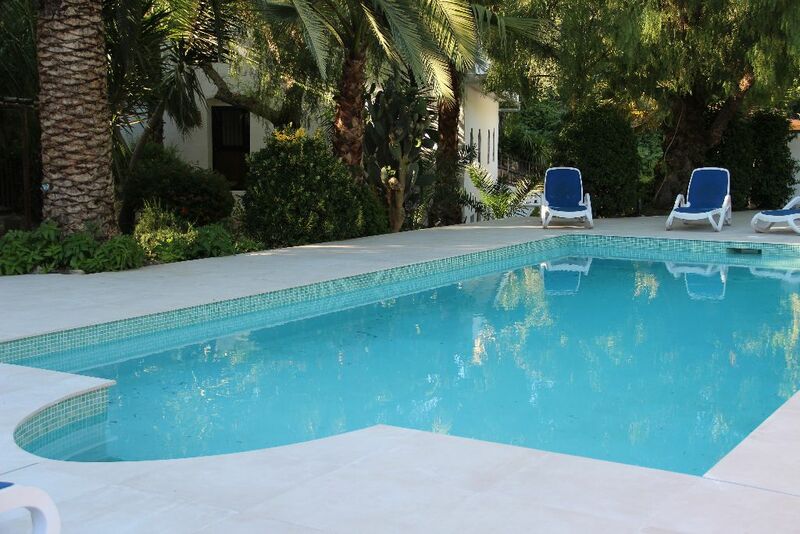 The swimming pool, garden area and our horses provide outdoor living at its best ! 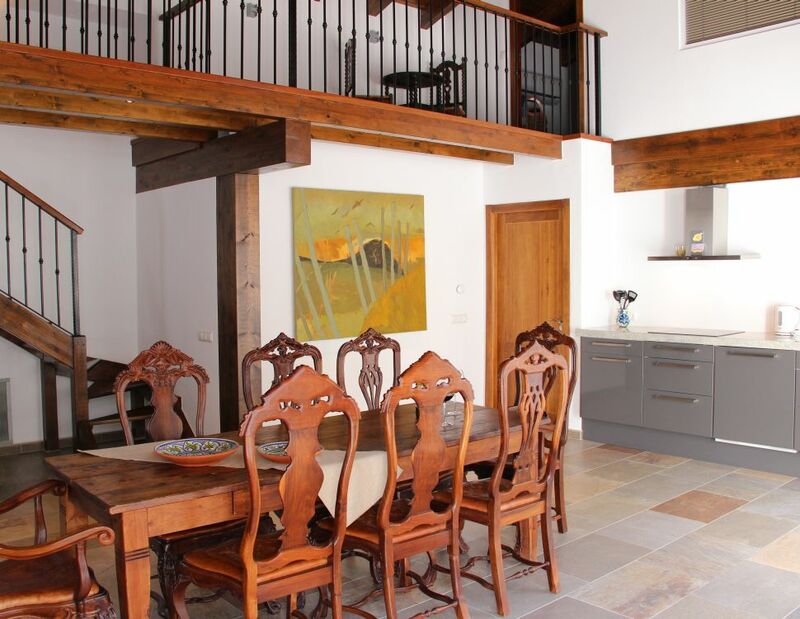 4 Accommodation units are located in the old 'Fabrica de la Luz', a nearly 300 year old building which forms part of our historical Marble Mill. On the top floor of this building we have 2 : "Azahar" and "Almendra". Both feature individual access from garden level and they overlook the small garden paddock. 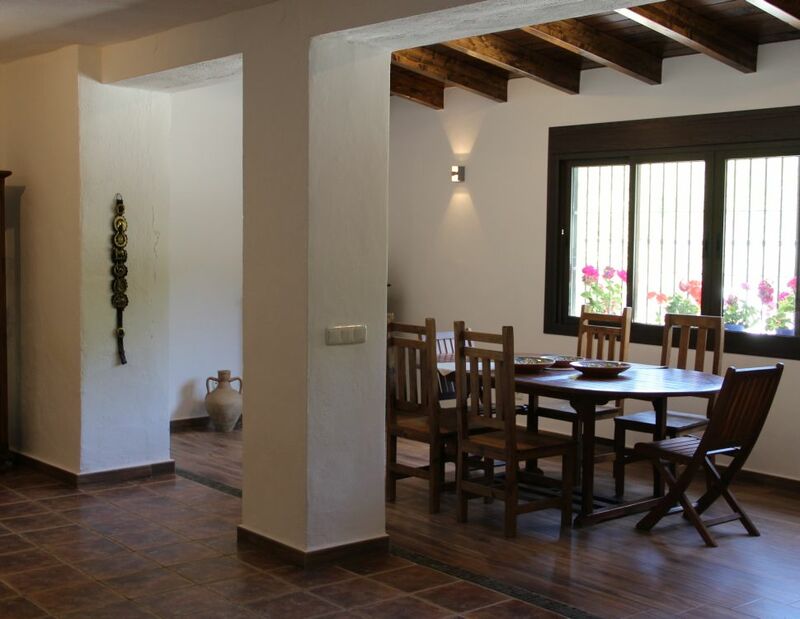 Each one comprises of a large living room with a comfortable sofa - there is also a small refrigerator and kettle to prepare your tea or coffee. Furthermore of course your own private bathroom with toilet, sink and shower and a bedroom with wardrobe and 2 single beds, which can be converted into 1 kingsize bed. 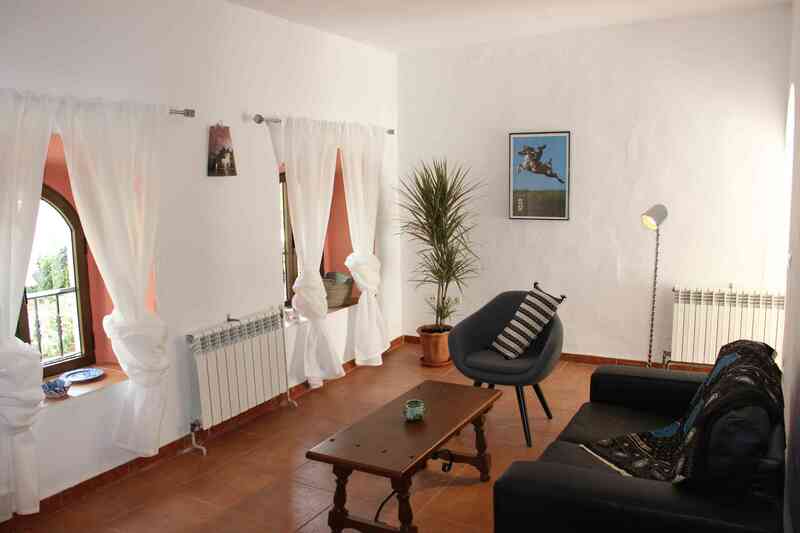 Central heating for the winter months and air conditioning in the bedroom. 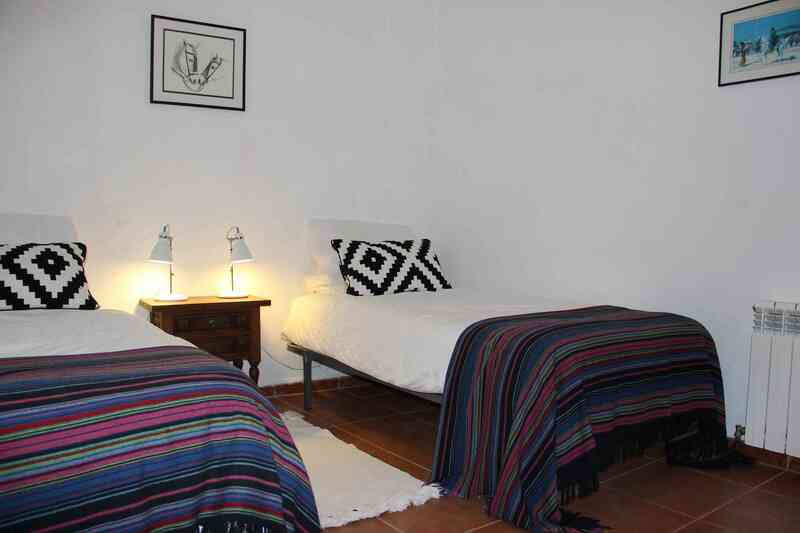 We have 2 more fabulous rooms on the lower level of the 'Fabrica de la Luz'. They are located just below the garden paddock and each one as individual access. Both units stay remarkably cool in summer as they are on the lower level and the building has thick walls. 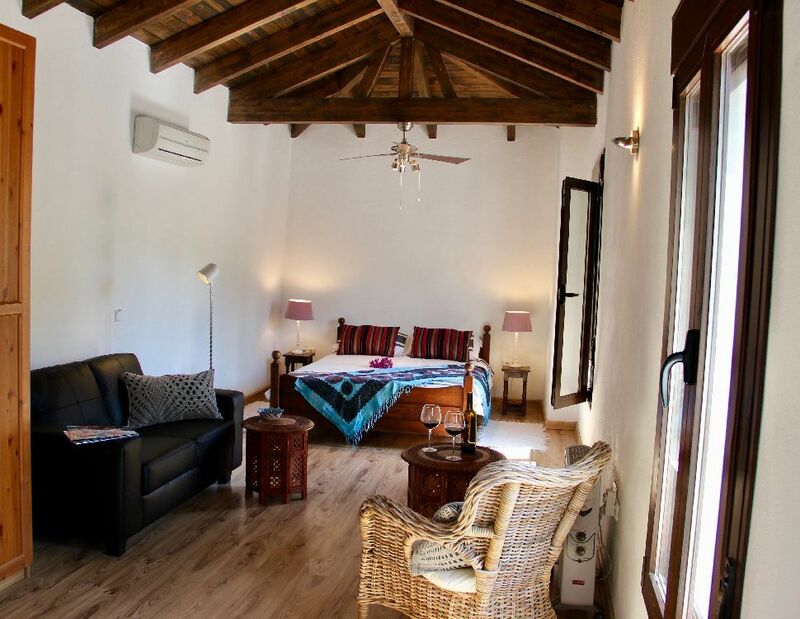 "El Batán" and "Dazcuán" feature an open plan bedroom with 2 single beds (possible to change into Kingsize double bed), living room with sofa, and a small refrigeratoar with water kettle, a large bathroom with toilet, sink and shower. Central heating in the winter months and airconditioning. 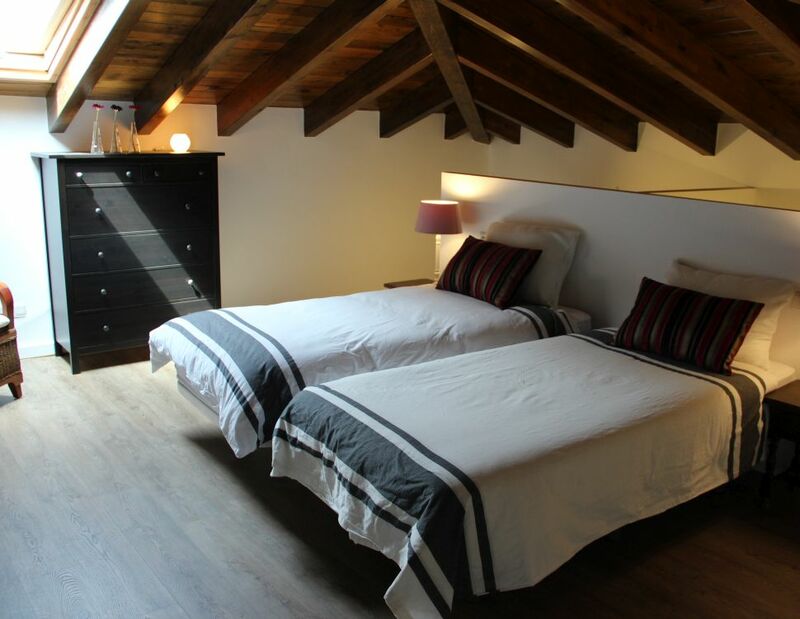 These two units have just been refurbised in the early part of 2017 and combine modern comfort with "Al-Andaluz" charm.